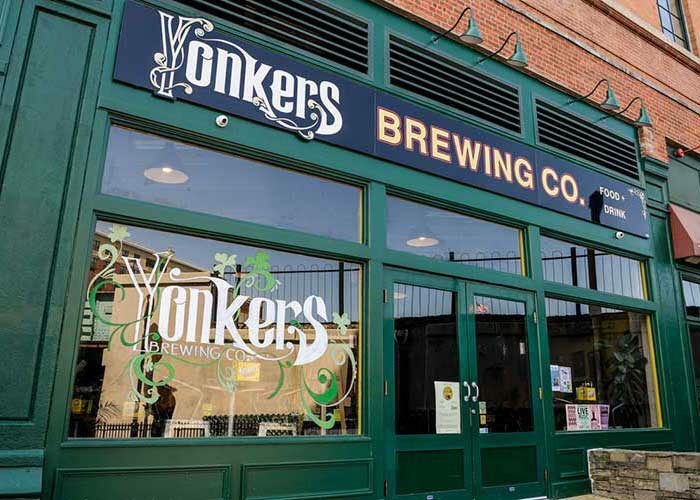 Yonkers Brewing Co. will open to the public in the former Yonkers Trolley Barn, located at 92 Main Street in downtown Yonkers, New York. Listed on the National Register of Historic Places as the last remaining trolley barn in Westchester County, this Renaissance Revival style brick building has soaring 20 foot ceilings and plenty of exposed brick.The building is accessible by Metro North, less than 30 yards away and a 23 minute train ride from Grand Central, and numerous buses. If you are driving we are stone’s throw away from the New York State Thruway, Cross County Parkway, Sprain Brook Parkway, Saw Mill Parkway and Bronx River Parkway – we also have a parking structure across the street.This building is the perfect location to bring together the old Yonkers and the new Yonkers – which now include Yonkers Brewing Co.